In literature, the writer uses parody as a form of comic mockery or satirical criticism. The writer imitates the style and conventions of a particular writer to expose the weaknesses of the writer’s style or content. A writer can also use parody to mock or ridicule a particular school of writers. The screenwriter for a sitcom can also use parody, often as a form of social and political criticism. Parody has been used in “The Simpson’s” episodes. The popular show, “The Daily Show”, is a parody of the news broadcast. The Colbert Show is a parody of a talk show. Throughout its history, “Saturday Night Live” has parodied popular culture, current events, and politics. Parody has been used in music videos to mock the musical style of a performer. Weird Al Yankovic parodied the performance of Michael Jackson in the 80s. In summary, a writer uses parody to imitate an artist or artistic work, in order to produce a comic effect or mock or ridicule the artist or artistic work. Parody is a popular humour device that writers use in sitcoms, comedy films, sketch comedy, and stand-up comedy. What is satire? Satire is a literary device that is used to mock or ridicule vice, folly, or stupidity. This ridicule or scorn is directed at an individual, social group, institution, or society. Satire is often witty, ironic, or exaggerated. Most satire is intended to be humorous, designed to evoke amusement or laughter from the reader or audience. Sometimes, though, the writer uses satire as invective. Satire has a purpose. The writer’s intention is often to 1) bring the vice or folly or failing into public view and 2) motivate or inspire change or reform. This is especially true for political and social satire, where the satire is intended to be a social or political criticism. In its extreme, the writer employs satire to make vice or folly reprehensible. Satire is popular in many aspects of our pop culture. Writers use it to craft poems, novels, plays, sitcoms, and scripts for films. Satire is also a genre. For instance, the popular sitcom “The Simpson’s” is a satire of contemporary society and family. Many sketch comedies on Saturday Night Live use satire to get laughs from the audience. The film “The Great Dictator” starring Charlie Chaplin is a satire on Adolph Hitler. Stanley Kubrick’s film “Dr. Strangelove” is a satire on the absurdity of nuclear war. Next, I will write about the different types of satire. What is irony? Irony is a literary device or comic device that a writer can use to craft a humorous piece of writing. Its intention is to generate a comic effect. The problem with using irony is that it is often a misunderstood form of humour. Many readers or members of the audience fail to “get it.” As well, humour is cultural specific. What is ironic in one culture might not be ironic in another. Irony is also a difficult device to master, as there is a fine line between irony and sarcasm. Many of the great writers have used irony in their writing, including Shakespeare, George Orwell, Charles Dickens, and Mark Twain. Today, many satirists who write columns or articles use the literary device of irony. Verbal irony. The speaker or writer means the opposite of what he/she says. Essentially, it is the humorous use of words to imply something different, and usually opposite, to the literary meaning. Example: Something unfortunate occurs, and the person says, “This is so lovely.” What the person really means is that he/she is upset. Situational irony. It is the incongruity between what is expected and what actually occurs. For instance, an employee is called into the office expecting to get fired. Instead, the boss gives the employee a pay increase. Dramatic irony. The reader or audience knows more about the character or plot in the story or play than the characters themselves. Essentially, the dialogue and actions of the characters in the story have a different meaning for the reader or audience than they do for the characters themselves. Dramatic irony can also mean that the readers or audience knows more about the immediate circumstances or future events of the story than the characters. George Orwell, in his novel “Animal Farm”, uses dramatic irony to show the difference between what animals are aware of and what the reader recognizes. Next, I will write about satire. In his bestselling book, “On Writing Well”, William Zinsser writes that “humour is the secret weapon of the nonfiction writer.” It is often the best tool and only tool for making an important point. Its purpose also needs to be to entertain the reader. This article summarizes what Zinsser suggests about using humour in nonfiction writing and provides some words of advice on how to write humorous nonfiction. Humour writing is serious writing. The writer’s intention in using humour is to say something important in a special way. To do this, the writer needs to use the appropriate comic device, such as parody or satire or irony, to emphasize the truth. Often, the events making news are a good source for writing humour. Yet, writing something funny doesn’t need to be topical. It does, however, need to be based on “fundamental truth.”Instead of writing about a topic in the news, the humorist can write about everyday life, such as the home, family, and work. Much of the time the humor in nonfiction is intended to make a serious point. The writer must find the right comic device to disguise his/her serious point. The writer can use satire, irony, parody, and lampoon—even nonsense. Good humour writing makes readers laugh. Frequently, all the writer needs to do is exaggerate the truth. For instance, the book Catch-22 and the script for Dr. Strangelove both use exaggeration to ridicule the absurdities of war. In using exaggeration, the writer makes his/her serious point. The point is disguised as humour. The humour writer must often go against public opinion to write a humorous piece. Humour doesn’t need to make a serious point. The writer can use nonsense to make his/her readers laugh. The humorist must convey enjoyment. In other words, the humorist must communicate to the reader that he is having a good time in writing the piece. The humorist ought also to represent himself or herself as the “victim” or “dunce.” This gives the reader a sense of superiority. Zinsser states several principles for a writer of humour. First, the writer should never strain for laughs. Instead, the writer needs to focus on surprising the reader. Secondly, the writer should write about the truth, instead of focusing on the ordinary or outlandish. Thirdly, before writing humour, the writer must learn to write well. The writer can create humorous nonfiction by finding humour in the news or by creating a comic reality. What goes on in everyday life can also be funny. To create a comic effect, the writer needs to use one of the popular comic devices, such as exaggeration, ironic truth, humours anecdotes, wordplay, one-liner, satire, and truth as a form of humour. Satire is often used. People laugh when they are surprised. People also laugh at the misfortunes of others. So, the writer can often mock or ridicule the follies or vices of other people. The writer must be careful not to violate social taboos, make sexist comments, or write racial slurs. 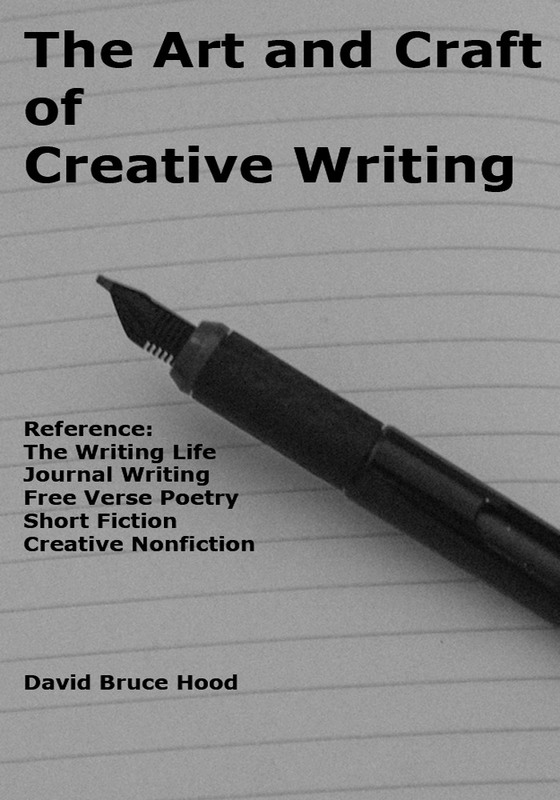 The nonfiction writer rarely uses profanity, vulgarisms, or obscenity in his/her writing. In crafting the opening, the writer needs to capture the attention of the reader very quickly. So, the opening should be funny. To bring the writing to a close, the writer needs to surprise the reader with a punchline or point that is funny. If you have any questions or comments, please post them to this blog or contact me. Next, I will write about the comic devices of wordplay, exaggeration, humorous anecdote, irony, satire, parody, and lampoon.